A: A short sale is a sale of real estate in which the sale proceeds fall short of the balance owed on the property’s loan. It often occurs when a borrower cannot pay the mortgage loan on their property, but the lender decides that selling the property at a moderate loss is better than pressing the borrower. Both parties consent to the short sale process, because it allows them to avoid foreclosure, which involves hefty fees for the bank and poorer credit report outcomes for the borrowers. This agreement, however, does not necessarily release the borrower from the obligation to pay the remaining balance of the loan, known as the deficiency. A: A loan modification is a modification to an existing loan made by a lender in response to a borrower’s long-term inability to repay the loan. Loan modifications typically involve a reduction in the interest rate on the loan, an extension of the length of the term of the loan, a different type of loan or any combination of the three. A lender might be open to modifying a loan because the cost of doing so is less than the cost of default. Q: Can anyone get a loan modification? A: No. First of all, there must exist a hardship. A hardship can consist of a loss of income, health issue, divorce, etc. Second there must be proof of income to substantiate the payment of the new modified loan amount. Third, the monthly expense should not be greater than the monthly income. Money should be left over after expenses are paid. Q: Once I get the Complaint for Foreclosure what should I do? A: In Florida, you will have 20 days to give a response to the Complain for Foreclosure. It is very important that you read carefully the first page of the Complaint; it will provide the deadline for filing an answer. The answer to the Complain must be in writing and must comply with the local court rules. When you receive the complain, you should consult with an attorney to properly respond to the Complaint of Foreclosure as well as decide if you can modify or short sale the property. An Attorney will know the law and will properly form the answers and all the defenses on your behalf. The Law Offices of Mery Lopez, P.A. is a full service real estate law firm representing mortgage lenders, servicers, institutional investors, and consumers all through Florida. Our services range from foreclosure, bankruptcy representation and evictions to REO closings and title insurance. Our office makes every effort to sustain the highest quality legal repsentation available in our industry. 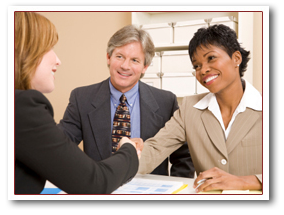 With more than 10 years experience, our organization prides from elite guidance and performance for all our clients. We are a 100% Hispanic female owned business. Our 14 person staff is fully bilingual. In addition, our 3 associates are able to assit to mitigate losses, negotiate all types of transaction and take transactions from the beginning to an effective and diligent timely conclusion. Over 12,000 closings help the Firm be prepared to overcome any encumbrance or obstacle effortlessly.